We believe that every student is college bound. That is why we prioritize rich and meaningful college experiences for all of our young people. All students in grades 6-11 go on college overnight trips during the spring semester. Thanks to generous donations, students are able to experience college life while strengthening community and accessing cultural activities across the northeast . The focus of the 6th & 9th grade trips is developing an understanding of the size difference and course offerings at a liberal arts college vs a university. Student partaking in wilderness exploration as well as cultivating leadership and teambuilding skills is deeply embedded into the programming. The 7th, 8th, 10th & 11th grade trips expose our students to both colleges and cultural experiences. This year the 7th graders will be visiting the University of Connecticut, the 8th grade will be visiting the University of Maryland, the 10th grade will be visiting the University of Delaware and the 11th grade will be visiting a variety of colleges in NY state. In addition to campus tours, our students also visit national monuments, museums and bond over recreational activities such as bowling or tourist attractions. At the Becket Chimney Corners Camp our students partake in wilderness exploration as well as cultivating leadership and team-building skills. By traveling to the Berkshires, our students can get away from their normal day to day and reflect on their goals for both middle school and the not too distant high school. Many get to overcome their fears of heights (by having to conquer the zipline or high ropes course) or the dark (by learning how their eyes can adjust to the dark) through group activities led by BCC staff. The students also have to learn to work together in groups and problem solve by thinking outside the box and using both their hands and minds to accomplish tasks such as building a geodisic dome or solving puzzles presented by the BCC staff. Most of all, during their time at BCC we encourage our students to work and bond with peers they might not normally converse with, creating friendships that might otherwise not have been fostered. 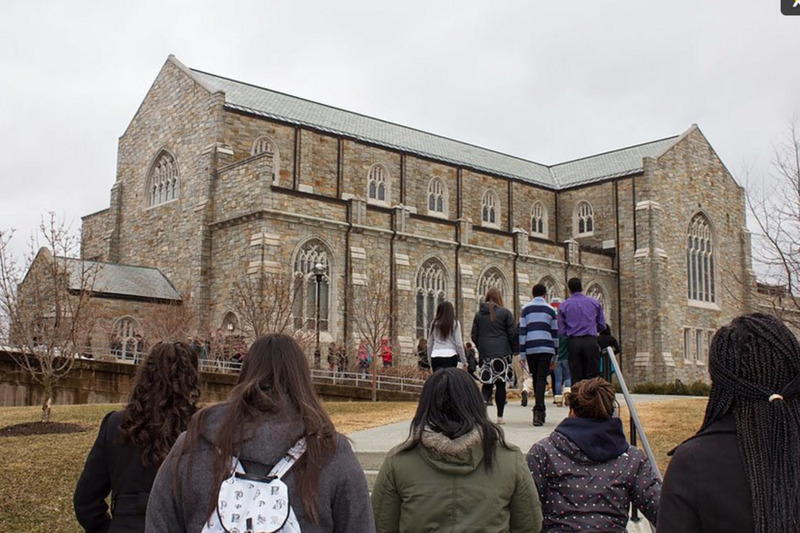 Our 7th graders recently visited the University of Conneticut and Albertus Magnus college. The purpose of the trip is to introduce our 7th graders to the idea of college, what it takes to get there and what colleges can look like. We choose colleges that show a contrast, public vs private, big sprawling campus vs more intimate atmosphere, liberal arts vs research/engineering schools, etc. Students must dress in business casual attire and come prepared with questions and research on the institutions they are visiting. 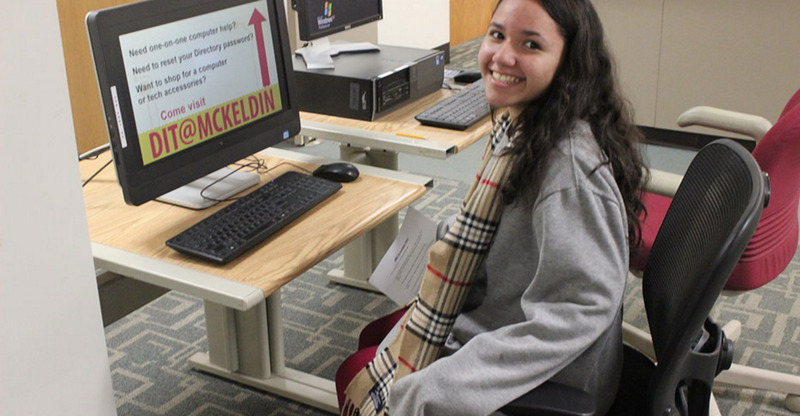 At Albertus Magnus, students participated in an in depth workshop and were challenged to think even at a young age, what kind of applicant they would like to be when applying to college and the steps they would have to take to accomplish that goal. This past March, our 8th graders visited the University of Maryland on an overnight trip. They toured the campus, learned of its history and offerings as well as ate lunch at one of its dining halls. They also competed in a scavenger hunt (crafted by our Ms. Patel, a UM alumna) which required them to take pictures of certain landmarks on the campus (such as Testudos) as well as interviewing students for certain information. After their visit to UM, students unwinded with some duck pin bowling and visited the Baltimore Inner Harbor, for many their first time outside of the tri-state area. The 9th grade goes to Becket Chimney Corners as well. It is important for those who are new to our school to take part in this BAL tradition. What makes this different from the 6th grade trip is that our 9th graders get to visit colleges in addition to taking part in camp activities. 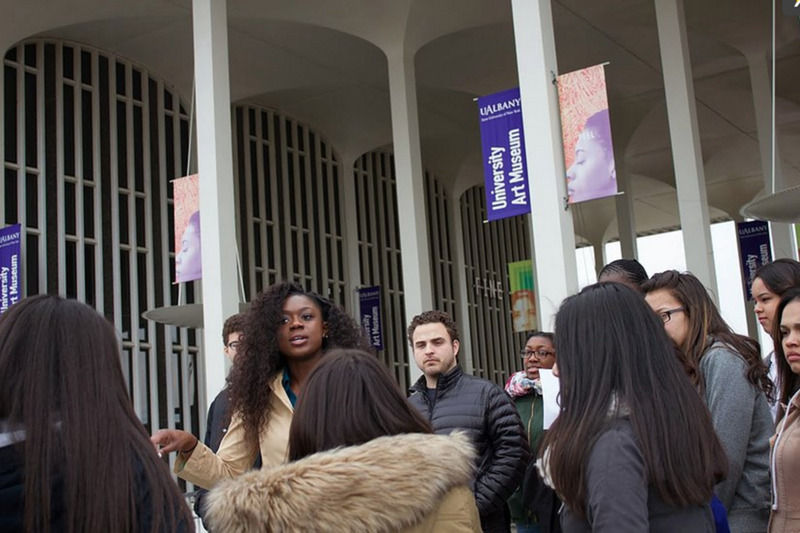 This past March, our students visited both the University of Massachusetts at Amherst as well as Amherst College. Students are encouraged to reflect on their actions over their first year at BAL and how they can improve or delve further into their interests. 10th Grade: Delaware & Washington D.C.
10th graders visit both Delware and Washington D.C., this past March our students visited Delware State University and the University of Delware. Students also get time to explore the nation's capital by visiting the Smithsonian museums, monuments and landmarks. During their downtown, students and chaperones alike enjoy dinner at a local restaurant and bowling a game or two. 11th graders attend one of two trips. The first, is composed of 2 day trips. On each day students travel from BAL to local colleges such as F.I.T., L.I.U., City College and SUNY Dutchess. The second, is a two day overnight trip to schools further upstate such as SUNY Albany, The College at St. Rose and Skidmore to name a few. Given their proximity to the college application process, both groups are informed of the admission requirements for each school.